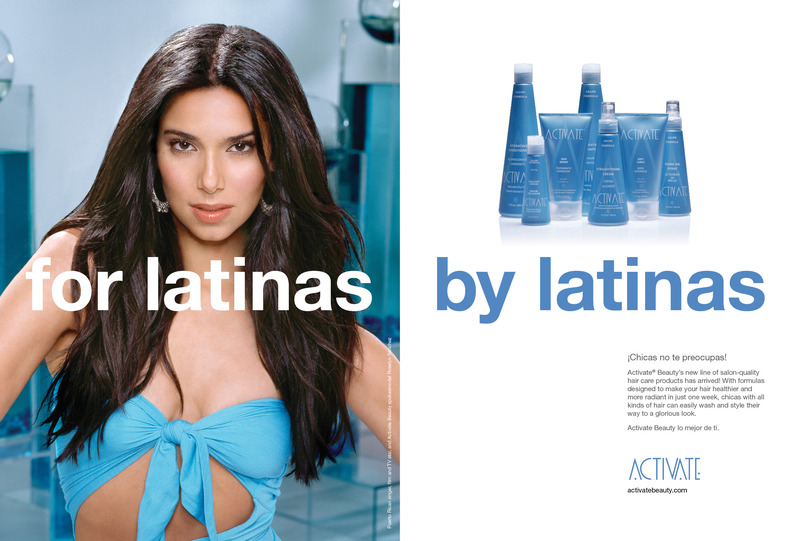 Products for Latinas by Latinas. Unified branding and communications that enables efficiency and encourages response. 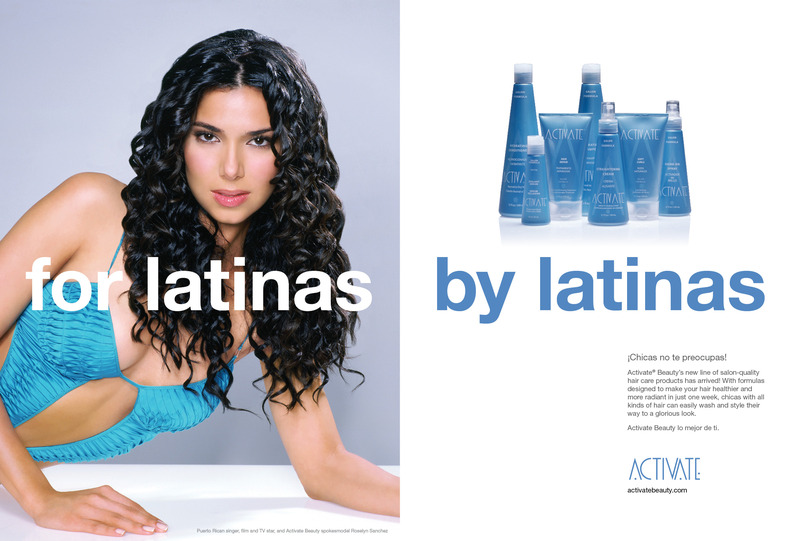 Activate® was created by a group of Latinas who believed there was a need in the marketplace for a line of products designed specifically for their type of hair. The company is committed to creating specially formulated products the help Latinas achieve gorgeous results. We developed a branding campaign that included print and online components to launch their products and gain some traction in the beauty products marketplace. 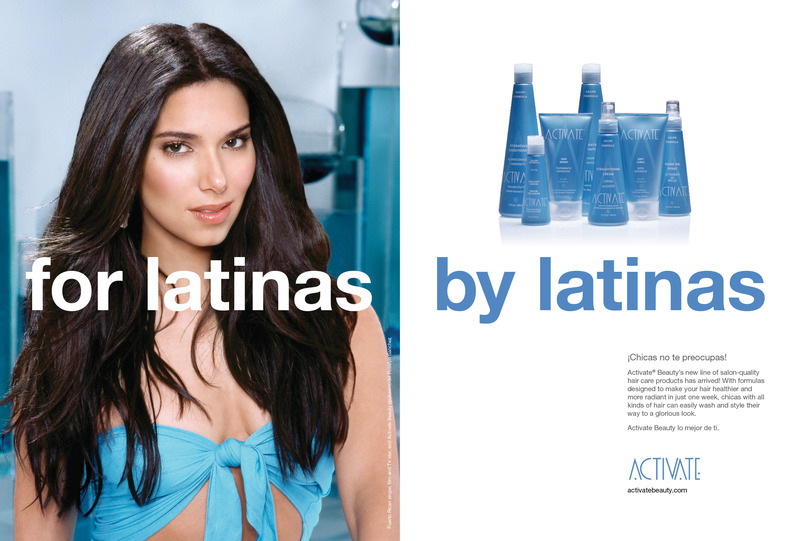 With Puerto Rican singer, film and TV star, and Activate Beauty spokesmodel Roselyn Sanchez, the company had the clout it needed to get people to listen. Activate Beauty products were quickly available in Rite-Aid stores in throughout the United States as well as being offere online. 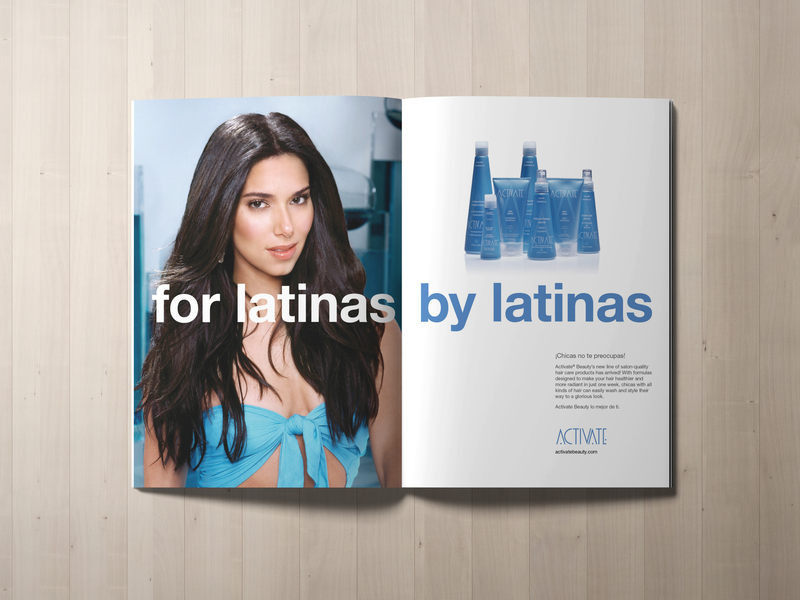 “Activate’s rapidly expanding distribution requires marketing support that is national in scope and outreach,” said Jacqueline Dascal Chariff, President and CEO of Activate Beauty. “As Latinas, one of our defining traits is our need to be well groomed; Activate gives us new ways to improve our appearance."